Expatfinder is a tech company. We offer a trusted service and website which helps you compare and find relevant products and services for your relocation or life abroad. You can tell so much from a logo. 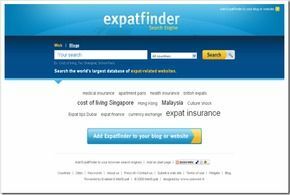 Expatfinder.com is revamped into a one-stop-shop web portal for anything related to life abroad. The company works on bringing quality content with guides and articles while also testing new forms of relocation support with the Launch of world first virtual relocation support in 3D world in partnership with Twinity. The company expands its reach with new language portals with superexpat.fr, expatratgeber.com, expatwijzer.com and mundoexpat.com to help a larger population of relocating employees and families. Expatfinder launches welcomepacks.com a new way to access destination services (home search, school search, partner support etc.) with a slick packaging. The project does not meet the demand and is pulled out of the market. 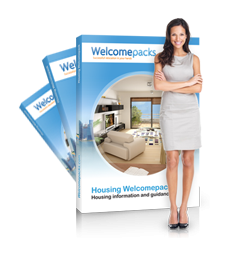 Welcomepacks is relaunched in 2014 as free discounts and vouchers to help you save money during your relocation. Expatfinder opens offices in Vietnam and in the Philippines to strengthen its customer support and call center activity. The company continues to grow its network of providers under its Expatfinder Quality Network (EQN) quality assurance policy. The adventure continues with more tools and support for an ever-growing population of globally mobile employees and families. Connect with us to stay in touch with our new launches and additional support services. Expatfinder is a family run company. Co-founders Sebastien and François Deschamps were raised as expat kids in the US and UK, facing very early the challenges of relocation (Sebastien’s first international relocation was at age 0.5 years, although he can hardly remember it...). To start up the company, they were joined by co-founder and now CTO Thinh Phuc Nguyen in France who lived all his adult life as an expat himself. How can Expatfinder help you? The choice of products and service providers is critical to a successful relocation and to life abroad. ExpatFinder helps you find the best products and services specifically for your situation and your needs anywhere around the world. You can access our quality network of providers under our ExpatFinder Quality Network and our 24/7 relocation support service. Our mission is to answer the needs of people searching for information and services while preparing to move or already working and living abroad.